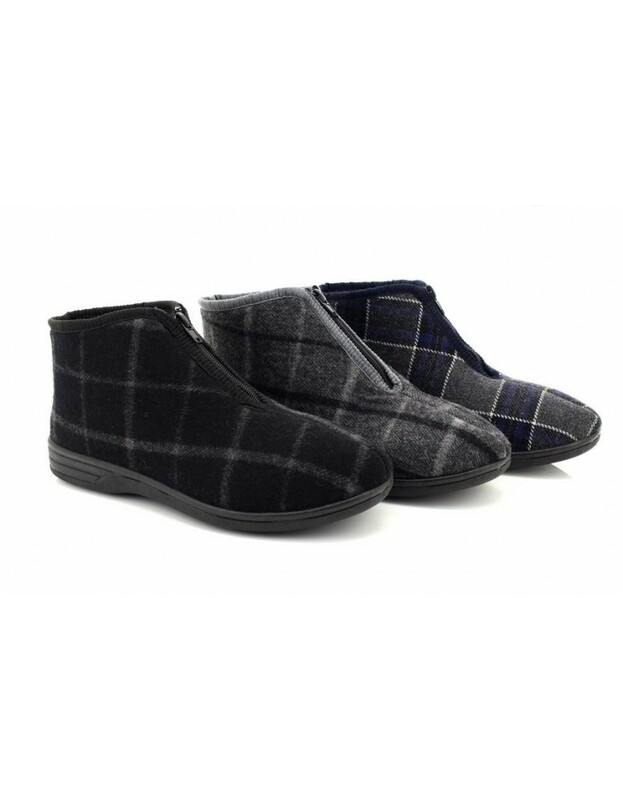 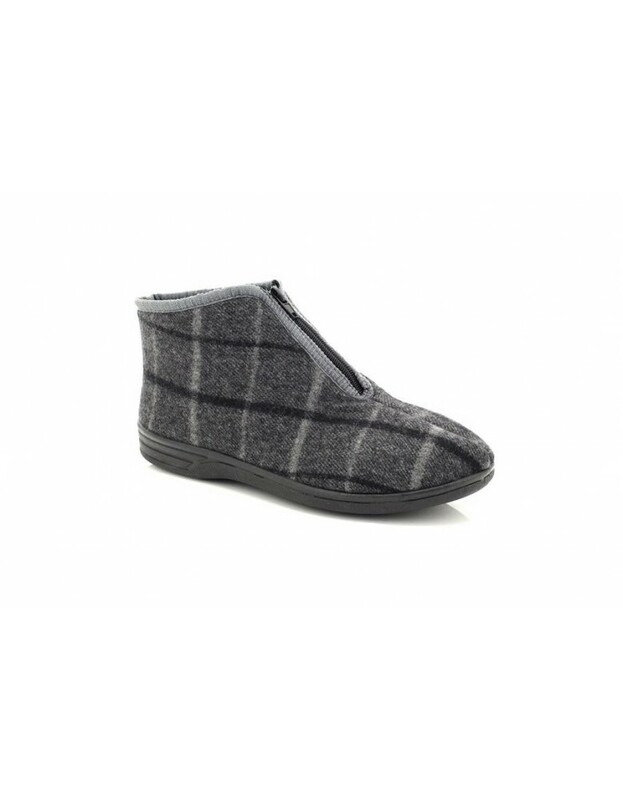 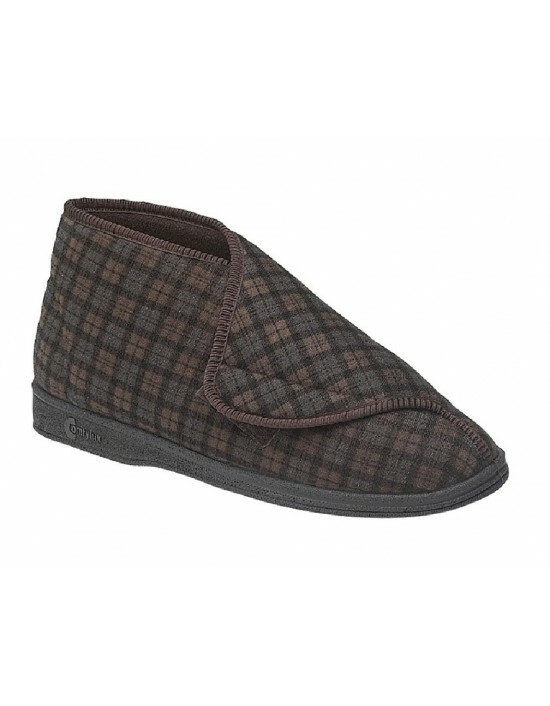 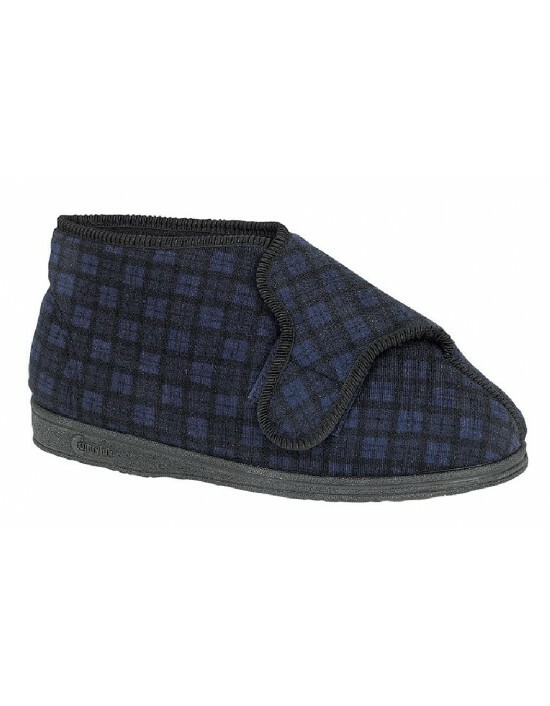 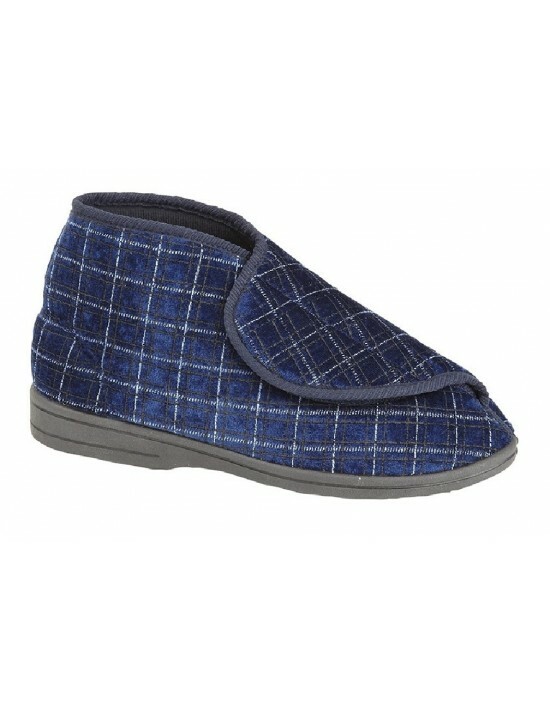 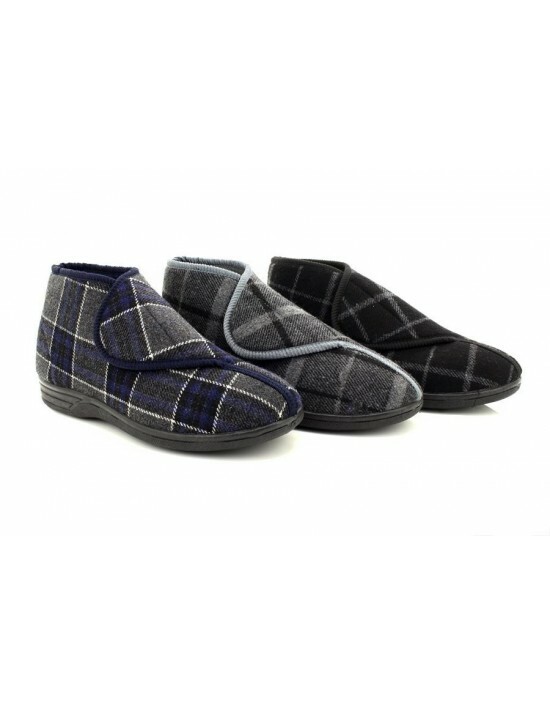 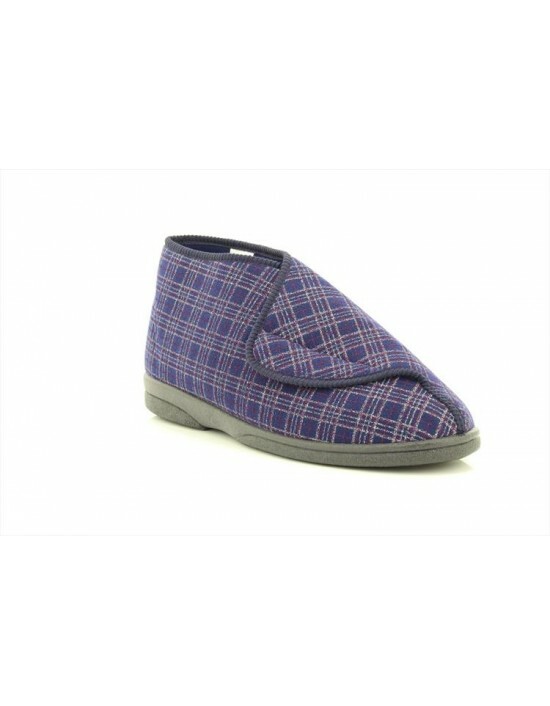 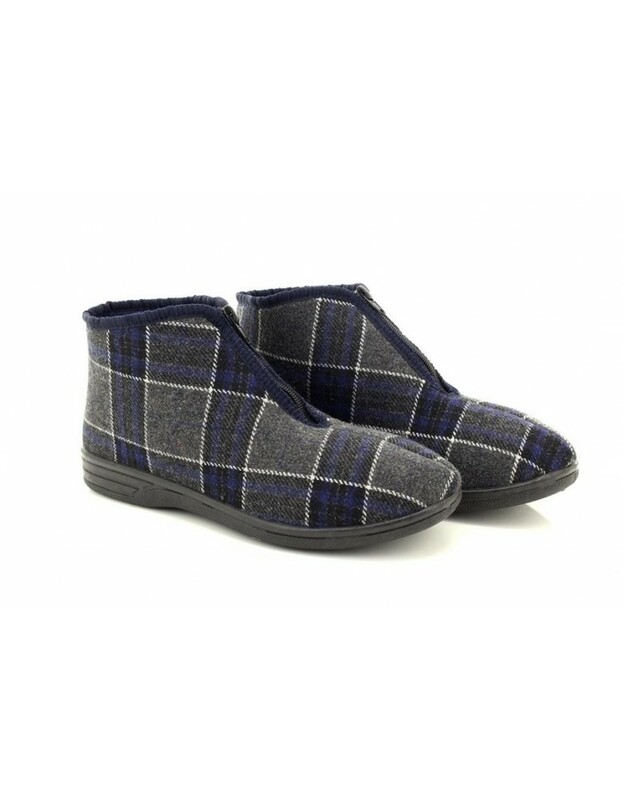 Shucentre, Grey, Black & Navy Check Velour, Textile.Top Retro Slippers. FREE Delivery! 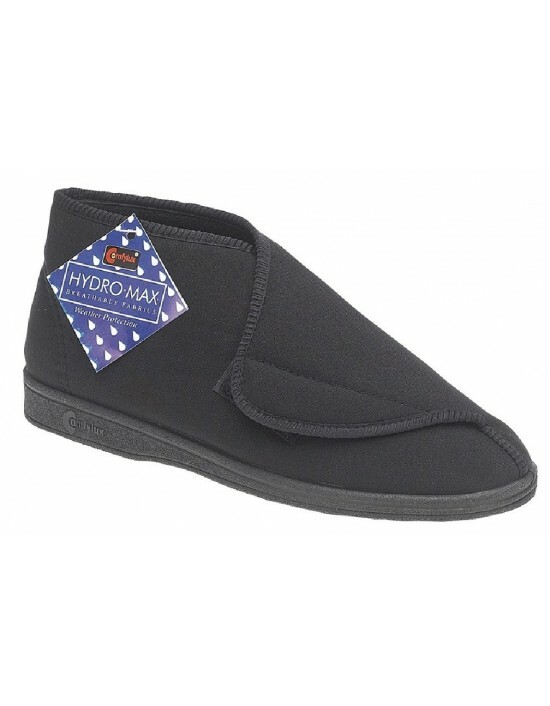 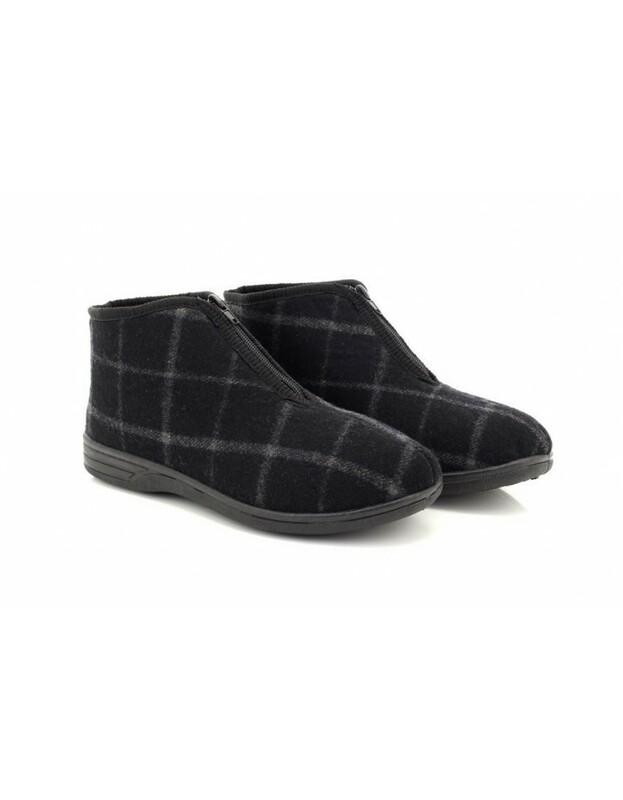 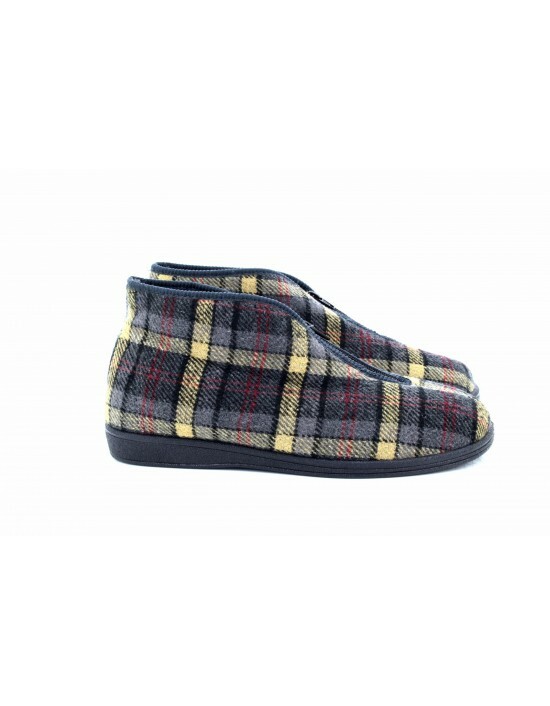 Mens, Bootee Slippers, Shucentr, Textile, Grey, Navy & Black Check Velour, Injection PU Outdoor Sole, Thermal Zip Bootee Slipper, Available In Three Colours. Sizes From UK7 to UK12. 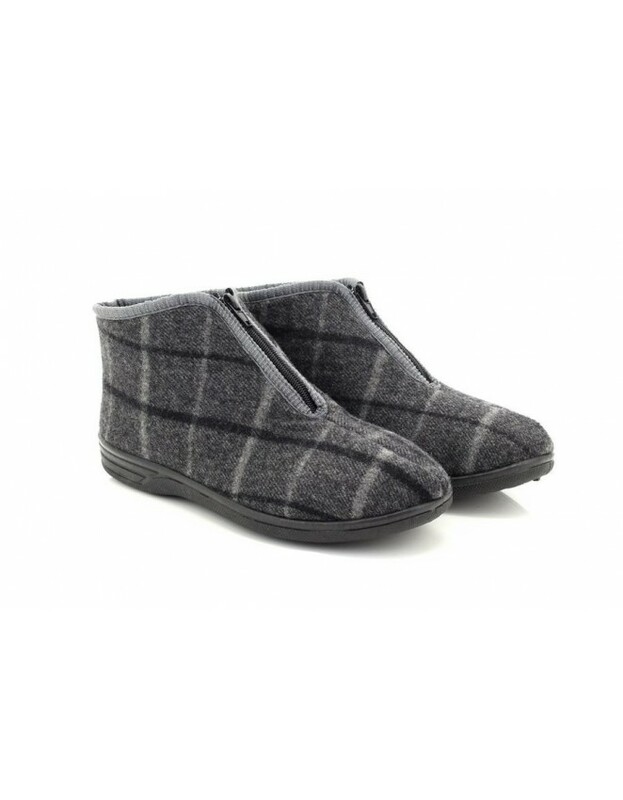 Thermal Warm Fleecy.